This earns the merchant revenue by outsourcing marketing strategies to us, whereby we promote their product on our website, or through the above mentioned, blog posts, articles, specific reviews, direct ad links, banners, registration portals, referrals and basically occurs through social media platforms. The return is a commission based on our performance and how statistics (available to the merchant) determine how many visitors and definite customers we create in this process, which is ideally known as a ‘session’. With affiliate marketing and the e-commerce arena, merchants or companies can gain what is known as ‘Greater Market Penetration (GMP)’, through its associations with websites and individuals who gain ‘approval’ to promote the merchant’s products. Sometimes this group is a smaller specific group(s), who the merchant targets specifically and may constitute ‘closed’ or ‘verification required’ channels of affiliate marketing. Affiliate Marketing also enables a method of ‘Raising Capital’ for investments or projects. Within the basic skeleton of this commission revenue system, known or reputed Affiliate Network platform Services or programs that pay you commission. These platforms are enabled with resources or facilities for tracking of links usually, codes, payment processing avenues, refunds if made, or overall an efficient affiliate management system in place which in turn merges their large data base of applicants, us the publishers as referred to as ‘Affiliate Marketers’. On our end, we have access to these affiliate platforms that pay commission, with their centralized and sprawling database of merchant to ‘Affiliate with’. 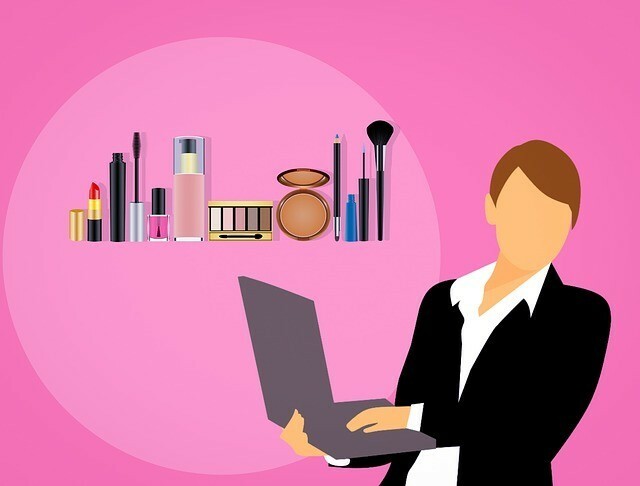 It’s almost usually and systematically organized into ‘niche categories’ or product categories, lifestyle type, device or it’s classification system on these affiliate platforms, such as the case with Amazon to take an example. Scroll down further to the commissions per category in the table (ref: Amazon. source: screen shot) of commissions. I would like to think most programs are relatively easier to get into, whilst some require us to pay a subscription fee for. That merits it’ s own justification depending on your business status and necessity, whilst for now the focus is on barely getting started and up and running really! The free way of course and the most simplified guide for it lies ahead and will be the focus of discussion here. Most Affiliate Programs are usually free with easy to sign up processes, open approval and acceptance at inception or might have you fill up forms on their site, requesting your email subscription on their programs. This can be beneficial if you are offered valuable insights or guides, strategies and funnels to implement in your own ‘campaigns’ as they are referred to. Other such valuable offerings would include but are not limited to; tutorial videos, the ability to peruse reporting or financial tools, analytic tools, the statements, reports or assess payment statistics, or payment processing avenues. If you see the screen shots below, relating to Amazon Associates as per my sign up and initiative, you might see exactly what I’m referring to here, the analytical, reporting and financial statistics, currently at zero. It’s been a few days since I signed up since, this is an interactive process, where I generally reflect my method here through screen shots (I’ll always try my best at that) to illustrate my tasks, to all my friends in the beginner status for Affiliate Marketing. I’m in the same club too! It’s very easy to get overwhelmed and then swim back to shore and return and return you will! Only this time, you feel ready, you take a new approach and that is steady! There is absolutely no need to compare yourself and you are on a different milestone relatively speaking. Often, we come across those who state a certain method earnt them into the six or seven figures per month category. What they didn’t tell you is it’s all about the game of Content Marketing. I will dedicate a separate article to this purpose, it’s the backbone and foundation to keep at in affiliate marketing. We will go over different structures and templates to incorporate, to get your message across the board and some creative options as per my experience. This would be a great time to let me know of any methods that you feel I have not addressed or could be implemented. I will include this with reference to you gladly! Remember one thing, there is no hurry to make a dash of everything and you need the time to carefully think this over, and do your content composing with quality as a goal, hopefully that goal is evergreen. It might seem overwhelming in which direction to head, especially for us beginners which might bring you to the next question, why should you trust me I’m on the same page as you? That’s what makes me more relatable to you and thus it really becomes an interactive conversation between us rather than me statically stating what exists already. The beauty is an ultra-simplified guide to implement and very realistically portrayed so we don’t have our heads in the clouds. Confusion and overwhelm are top reasons to hold back and lead to fear, in making the initial steps toward setting up and starting. Consequently, fear can just have you playing it too safe and just reading about it. Part of its magic is giving it a shot and as much as I agree that being ‘prepared’ is fundamentally correct, some part of us must just jump in the deep end and swim to make it ours! I don’t advocate recklessness either, so that’s why information is golden and absolutely a must! A few bytes of morale boost and reality are imperative on our online journeys as beginners in the financial and affiliate marketing worlds. I have had the need to refer to psychology articles that really dive deep into the pivotal importance of morale boost on performance. There are many authors on that and this article doesn’t exactly focus on that, however it’s worth knowing you are justified in your approach right now, reading through my article before making the leap! I refer to my own articles when I feel I’m losing touch or need the refresher. That’s what makes my articles and website very personable, as I’m in your club and I’m not advocating unless you see specific examples coming from me to you! My aim is always to be thorough and see that it’s correctly, accurate and simple to follow, not to mention with the least hassles and fully compliant with legality issues overall. I reference out to major resources and hey that’s the best part its more professional even for my own reference or ours! Taking Reference from a reputed source and winner of many awards in the Affiliate Marketing niche for a few years now, is the valuable bytes of information that I happened to read and reference here, from a website called Top Paying Affiliate.com. In some or most circumstances, although affiliate marketers can join affiliate networks for free, merchants might be required to pay a fee to participate in their network. Who knows what feats you can accomplish in the coming years if you ‘closely’ follow a strategic plan, one that you can customize to your convenience and time. That is the hope and beauty of affiliate marketing, the fact that it all relies upon you offering you a flexibility to work as you wish. Often, we get caught up in defining the concept, its still very much an ACTION REQUIRED incentive, stimulating and enjoyable. Perhaps, scouring through pages of journals may only just start off like an instruction manua, but the real joy lies in doing and reaping the rewards, do you agree? If an individual is selected or ‘approved’ as part of a group of digital affiliate marketers, they are referred to as a ‘target people’ or ‘target groups’. These individuals, often as a matter of trend and observation, are the ‘Authority’ of their given ‘niches’. Talking of Authority? What constitutes ‘Authoritative’ Individuals in their niches? That is not to relegate authority to customizing articles in this fashion, as a mechanical process, rather it is the result of research and passion that these established ‘hot shots’ of the affiliate marketing spectra have in mind when selecting their products and audience to appeal to. A while ago I took a chance on a private company, not part of any known affiliate company, in promoting certain products of relevance on my niche site. I didn’t get a reply quite understandably, at least recently with a lot of research into this topic. “For certain programs, gaining their ‘approval’ requires proven statistics and traffic already driven to our websites or to the ‘content’. It’s an equation of time into creative expression that equals success and reputability to be frank. Content marketing will be discussed in this foundational article on affiliate marketing for beginners, mostly because its so interdependent on our success on digital marketing platforms, all of them from affiliate marketing to ecommerce in any way you can imagine”. Finding an affiliate program to apply and promote products for is entirely dependent on content marketing strategies such as keyword research, having written down the tasks in my previous article about identifying your brand concept and its message which tie in with the niche you have in mind. How do you go about creativity in communication, where time is infinite and often out of our control? Unless we had a time machine, or you devise one? imagine the line up for that! To sum it up a combination of the strategies for social media promotion, that occurs through Pins, posts, affiliated ‘special links’, posters, banners, social media graphics, videos, animations you name it are excellent strategies to start with. Its how you push your message or shout it over the rooftops of the world that drives your bottom lines ultimately. To understand how inter-relative affiliate Marketing is to your personal statement, my article: Shouting your Brand Concept over the rooftops of the world might give you reflection on expanding your ‘niche’ research further. Instagram and Pinterest have been promising as they are highly visual platforms to promote your affiliate promotions in a very creative and appealing manner, not to mention a post or article to compliment these avenues are very appealing to your visitors, perhaps more personable than a multitude of advertisements. The last thing you want is a spammy outlook or impression with your visitors, which can mess it up for you and a lack of trust in your communication style. The result is no body really wants to subscribe to spam and would rather read a personal account or communicative and mesmerizing article to go along with these forms of social media advertisements. That is a question you need to ask yourself? How many times do you get annoyed by a flood of irrevelant non value generating email posts or leads? Many times by my count, and I do like certain email posts but not all. One important paramenter where you assess it’s impact, is if content made you smile or think deeply? Did it achieve either for you when reading it? If so then you have certain ideas to cement in your own campaigns, otherwise its just going to irk your visitors away from you. That is my sure fire guide to understanding the appeal of a sales campaign. Subsequently, the topic of creativity as applicable to affiliate marketing deserves its own attention and a very enjoyable route to take in voicing your personal tastes. The result justifies the process and you land people who are genuinely interested in what you represent through a subscriber list. The name of the game is impact and appeal, passion and voice to stand out realistically. That is a great goal to strive toward but obviously you need a place to start and build your experience, sort of like an ‘Affiliate Resume’. I was in no way Authority of my niche and to be honest its always an evolving evergreen goal to strive toward. Confidence plays a major role in how ready you can prepare to be at least mentally, and dive in the deep end. Of course, you won’t be completely left to drown with life savers, like the team at Wealthy Affiliate, owned and operated by two fabulous digital marketing entrepreneurs willing to guide you holding your hand, and willing to listen or personally address your concerns, every step of the way. YOU might feel more prepared to do it steadily and with the best quality output you might just amaze yourself! Once again to re state its about expression as time is independent of our control and should not overwhelm you at your inception. Every time you feel overwhelmed, just read my article and take a breather you are making progress already! 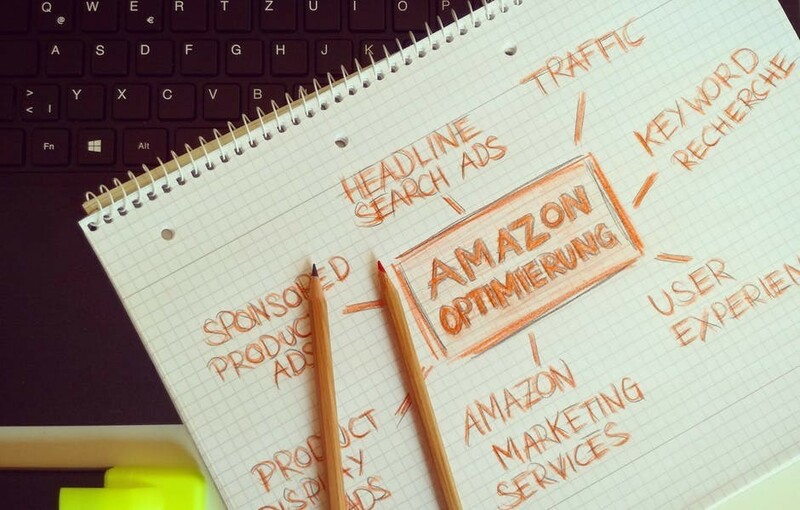 According to The Marketing Terms Dictionary and Business Dictionaries.com, “Amazon.com was one of the few and first significant adopters of affiliate marketing channels”, however, today thousands of companies do offer Affiliates Relationships. Who are these companies to create accounts with? When the term ‘Companies offering Affiliate Marketing’ are mentioned, read as platforms, which are either web based or mobile apps/applications (although limited in the number of affiliate merchants offering products or with certain conditions). 3. CJ Affiliate by Conversant. 4. Taboola: Cost per click-based affiliate program. 5. Vig Link which hosts Ebay and Saks.com amongst millions of other merchants in a very seamless and elegant way. My preference for elegant associations. Sometimes mid to high ticket ranged items. 9. Ebay as a private merchant hosting its own affiliate program. 20. JvZoo: Digital products and tutorials or guides are the basis of products here, software, e-book or audiobook downloads apart or including amazon audible. Requires knowledgeable product launches and specific enabling software. 21. Wealthy Affiliate mostly Revenue shared modeled network. : see scope of Wealthy affiliate Review. The platform is rich and diverse with a plentitude of growth potential and abundant opportunity to flourish and provide your own tutorials, educational material and engage in many diverse business prospects within one platform. You can blog, host your domain, register a domain, maintain it, interact, learn from online video demonstrations and classes of all aspects of digital business ownership. These are just a few and starter memberships can last a lifetime if that is your decision. Many exciting prospects lie ahead of you, so what are you waiting for when you can realise diverse dreams in one platform? Check out my article: scope of Wealthy Affiliate. 22. Adobe with prospects to earn and submit stock photos whilst still taking part in their referral program. 23. Google AdSense Affiliate: No longer in effect as Google wants to focus on other avenues and developments. 28. Individual companies independent of networks. 29. Niche Specific Affiliate Programs. 31. Nuance Affiliate. (link to Kyle’s Article): external link( affiliate link provided as per Kyle’s month ¾ mention of some good articles to link out to) even on fb. 33. Munch eye (IM launches calendar organized fashion like a tasks and jobs lists. 34. launch suite are highly niche and skill specific affiliate platforms. Google has recently updated its affiliate program deciding that it wants to focus on ‘other products that are driving results for it’s clientele’ instead. 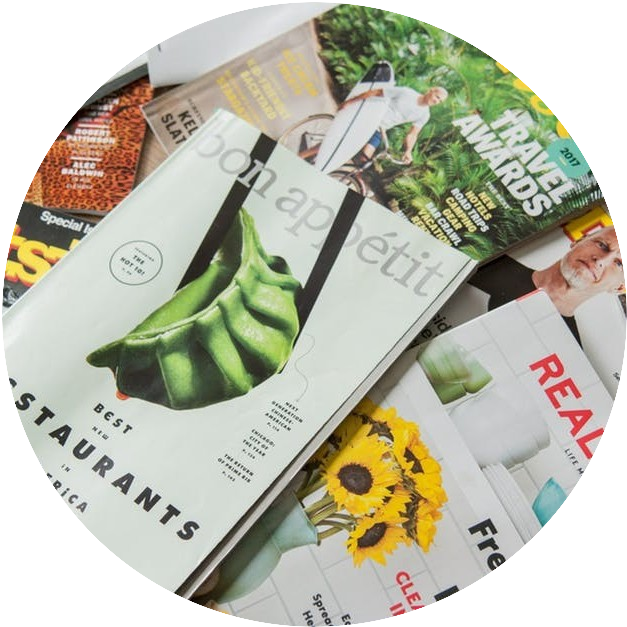 In turn avenues such as traditional Ad Sense through the Ad sense Network that provides publishers effective and very seamless automated revenue opportunity. I recall that for ad sense to be up and running on your website, that at least some traffic is fundamental. Essentially, no one really admits that it’s part of the process to build traffic, practice SEO for your website, have an SSL certificate and reliable hosting package not to mention that quality content are the cornerstones of success within the digital entrepreneur’s arsenal. Realistically speaking, there isn’t a single program that doesn’t have it’s own catch and that actually requires you to build out your business from the foundation up, as affiliate programs that pay instantly are rare or if not unheard of. There’s really no escaping that anywhere you turn from blogging to affiliate marketing and to really be successful at drop shipping, the fundamentals of content marketing and getting ranked are pivotal. For merchants and advertisers, Google has summarized in their update that Cost per Acquisition model-oriented Product listings and remarketing can significantly amplify online sales and conversions for the most part. This might be an avenue to consider, as Google no longer offers it’s own platform for affiliate marketing or such a centralized platform like click bank or Vig link, relatively. Ultimately, you need to tie the products sold and promoted to your content and promote the products, with assessment of which payment model ideally suits you, and how commissions are paid to, the Publisher, in this case that’s you and me. What are the main questions to answer here? These Questions form your Headings and whether you prefer it in Question and Answer format or note format is a decision left to your journaling style. 1. What are Products worth Promoting? To decide and research this question requires a personal understanding of a specific niche and the type of products you have some good to fair knowledge about. From there you take the research further by understanding it’s social impact on either platform like google Trends, Uber Trends, Pinterest, social media, Instagram and existing online shopping destinations. If you see a certain product in demand which aligns close to your niches’ value and purpose as defined in article 2, identifying your brand concept, then you have a winner. The extra step here is to cross reference this product research with Analytic tools like Atrefs and Crazy egg or Search Engine Analytic tools of websites with a similar niche concept as yours. Places to visit to gather some numerical research on this and mind you this is the extra bit of work that everyone talks about but haven’t mentioned. I’m getting into the nitty gritty details here with the technique and going so far to say that you should allocate a part of your day, but not a whole day to do this research. Bing webmaster tools and Google Search console will only give you a fair idea of products, with some established traffic and affinity to certain topics of yours, on your websites, it clearly isn’t much of a trend indicator in the hey days of your blog or website. That is why places like Uber trends or Google trends or for that matter highly visual Social media are dead giveaway. Existing shopping destinations spanning across multiple niches are complimentary research to product selection for you. 2. How do I take advantage of Affiliate sales’ Funnels and create a compelling campaign overall? As a Publisher if you understand and can implement the process based and organized flow of your website or pages layout, you have a powerful tool called the ‘Sales Funnels’. 3. How do I leverage these Affiliate platforms listed above? This has a lot to do with question 4 and how you choose advertising avenues to promote your affiliation by. The common methods are banners, social media graphics, special links, advertisement creations and even You tube advertising streams. This is up to your imagination and dare I say experience or comfort using such social media platforms. Many digital gurus have advocated sticking to and mastering one social media platform at a time and gaining a rich following on either one. Unless you can span across many social media platforms then by all means do so. It must be consistent throughout all your chosen platforms and even in layout, so a great tool for social media graphics to leverage is Canva.com. I’m not sure if you know of it already but it’s something I learnt only recently and making use of myself only recently. These articles I write for my audience are truly from a fresh beginner’s perspective and it takes a beginner to understand one’s concerns and method of implementation. 4. What payment methods are suitable to me? Ideally implying which networks do you apply to? Payment schemes often dictate your workload and approach, it has major impact on answering the above questions, although question1 is more to do with niche selection, key word research and ideally Search Engine Optimized research and should meet these requirements ideally. Whilst question four here dictates your approach to promote the product, question 1 essentially is influenced by trends and research of products to promote from specific merchant advertisers. 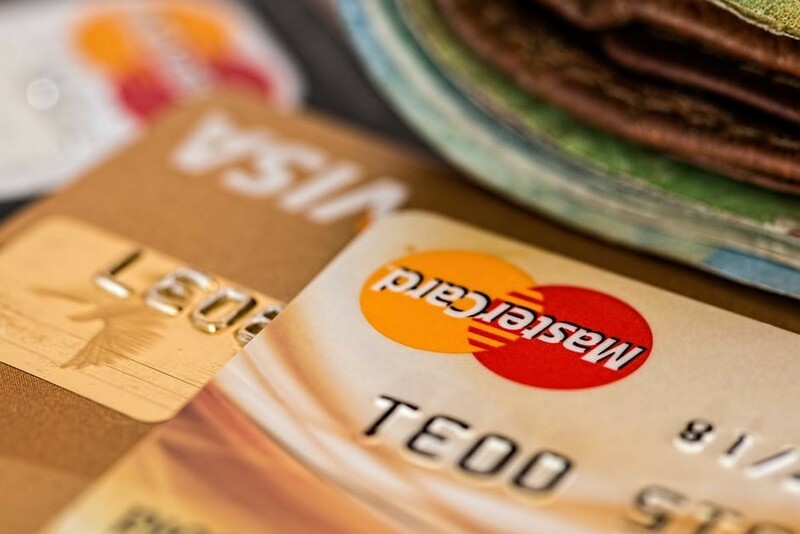 What are these payment methods and how do you know which affiliate payment program is best suited to your ‘immediate’ requirements? Possibly you have expenses related to operating and running your website or payment to subscriptions yourself, which in turn are business related costs and recurring monthly payments? That is a factor in decision making about types of Payment Methods of Commissions to you. The section below deals with exactly this issue. It becomes essential to understand the affiliate Advertisement payment types in this case, payment systems, or publishing advertising for affiliate marketing. Well it starts out with a framework of reviewing and how you chose to customize your appeal, is entirely upon your imagination. For a successful impact and highly clicked through link, social media platforms like Pinterest or Instagram can draw a mass flock of traffic to your pages or posts with either affiliate reviews, links or banners. 1. Cost per click(CPC) known as pay per click affiliate programs PPC: The affiliate marketer or publisher (us or you) are paid for each link, banner or advertisement generated or created/ displayed on your site. The Customer must click that special link and be directed to the URL of the merchant or Advertiser’s website. Your duty is fulfilled by directing your visitor to the advertiser/merchant’s website and this need not translate in staying it’s the reason why it’s called cost per click or Pay per click programs. (PPC). There are tracking and monitoring software on the merchant’s site to prevent us from clicking on our links, thereby ‘inflating clicks’ and frequency by ourselves (publishers/affiliates of a network). Its worth noting many programs might specify either a Cost per Click or cost per acquisition or action for more decisive actions made by your readers, subscribers or visitors, some might even require a minimum traffic to approve your application for an affiliate network, until you can start earning any commissions from these platforms. 2. Rev. or Revenue Share: A ‘RevShare’ or ‘Revenue Share’ model is like cost per acquisition and often misunderstood as being the same, indeed your visitor or reader NEEDS TO TAKE ACTION through purchase, download or join a service, club or offer, this might relate to mostly educational resources or financial-educational resources or other such digital products. The point where it differs from Cost per Acquisition, is that ‘RevShare’ models are revenue sharing for life models. Sounds good, but the catch is to have a product that really captivates your reader and audience that is of such high value that one cannot do without it. Once that is taken care of, then the pot keeps overflowing, you are in on the revenue for life and get paid a certain percentage (%) of commission of profits through a visitor, that has fulfilled the subscription, download or purchase services as mentioned, and you will continue to earn this revenue for life if the visitor stays and increases according to the company model, if the visitor actively contributes or is highly active through a membership feature enabled in such platform. Its mostly a feature you see with membership required platforms, or where education or similar services are provided to give quality value to members, and if you refer someone within such platforms or affiliate platforms to other readers, depending on the structure of your advertiser, then you will earn a ‘lifetime revenue’ from such affiliations (associations). 3. 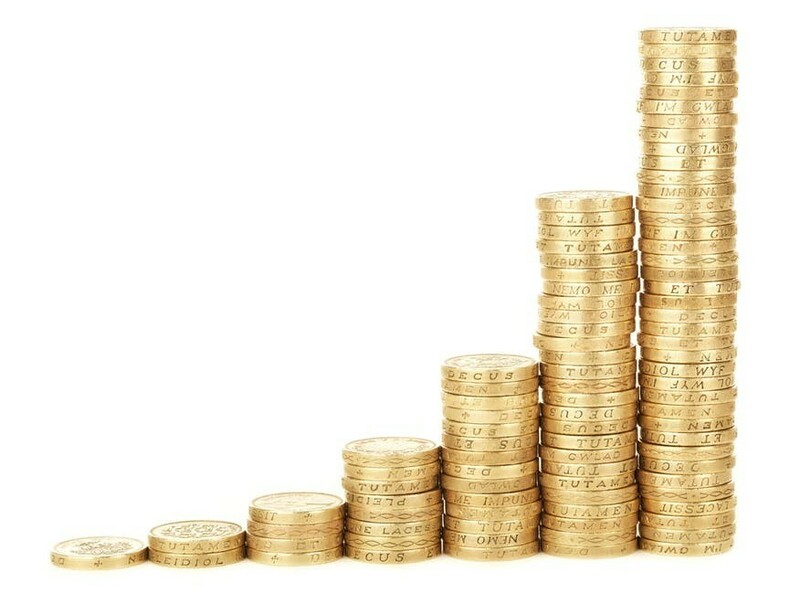 Cost per Lead(CPL): As the name suggests, the number of referrals or leads that you, as a publisher generate, so that many subscribers eventually sign up for a service or information from a merchant, through a special link, is called a cost per lead. The method is similar: its achieved through banners, posters, special links, landing pages, creating opt-in forms and email subscriptions for newsletters equally. This is relayed to the merchant/ advertiser who in turn pays you a percentage of commission. It also depends to a large extent, the type of subscription, lead or referral based on the product and it’s pricing, which in turn affects your commission rate from cents to a few thousand dollars. Digital services like those mentioned in the infographic above, for types of expert entry affiliate programs have what is known as ‘High Ticket Items’ and earning a fraction of that as commission or creating referrals or sign-ups can translate to hundreds or thousands in commissions alone. Consultations services are such an example of this method where an individual gain a large following, and the vast following either buy their products or promoted digital products or invest in digital services or consultation type services. Always be up to date on revised terms and conditions as per your affiliate platform or do make it a habit to read the terms and conditions, commission rates, guidelines and other applicable conditions on sign up. Don’t let it deter you but be thorough is the advice to us starters. Its also requires some degree of expertise and “authority” in the sector you might consider affiliating with, indirectly implying the reputability and traffic required to flourish with Cost per Lead (CPL). 4. CPA: Cost per Action or Acquisition(CPA)/ Price Per Action(PPA): Advertisers pay commission to affiliates only when a visitor or potential customer converts to a customer, upon acting which is essentially a purchase by the visitor but through your link diverting them to the URL of the merchant or advertiser. It is the most common type of affiliate commission payment structure that most affiliate marketers (read: Publishers) are familiar with. It all ties back with your content promotion and technique or platforms. The advertisements you create are going to lead your reader/ visitor to the merchant’s site and convert into a customer. In this method of payment system for commissions, the merchant/ advertiser decides which products require promotion by its affiliates (us). It requires extra attention to detail, work load and promotion, not to mention translates to decision to purchase to your visitor, eventually their customer. It is worth noting that most affiliate networks conform to this method of accountability, the Cost per Action or synonymously, the price per action. These are performance-based measures. The visitor has an option to provide an email only with dual operating system, such as with Price per Action and cost per lead sometimes, cost per click basis. The combinations are entirely up to the publisher but in conformity with set guidelines of a specific affiliate program. The visitor might be give the option to purchase a book package, download an e-book, enroll in skills- based classes (like as for Etsy), or purchase a tangible good where you earn that percentage of commission. Amazon offers both CPA- CPC methods and commissions are specified in their terms of agreement. I have included the screen shot of commissions above to see what is meant by this system. Here, actual products or goods are promoted as opposed to referrals or email sign ups are the method of earning revenue. Sometimes, digital products also are in what can be a dual CPA-CPL method. 6. Dual CPA-CPC: This model is adopted when many merchants subscribe or take part in a unified platform for outreach to publishers, examples I can cite straight away are Viglink, click bank, Aflac, CJ conversant among many who do offer a wide selection of niche categories in one site for a publisher to affiliate with. – Toys, educational resources for children of all ages. – Laundromat specific electrics, both for home and commercial use. – Millions of other products that are numerous to enlist here. This is a journey as I expressed in my very first introductory posts, and as much as you might learn I am too! There is one other thing to understand when it comes to earning your commission through this platform, and that is to grasp the acceptability or lack thereof of products, classified to as ‘Qualifying purchases’ and ‘Disqualifying Purchases’ made by your customer either through your special links or indirectly. 1. Clicks occur on your special link as assigned to you by Amazon and they are subsequently directed to the Amazon site for that given product. 2. The special thing about this affiliate program, is that you still earn ‘Affiliate Revenue’ if someone does click and get directed to Amazon, but still buys another product. You are still the conduit to sales none the less and have a potential to earn revenue for any sales, through your clicked special link(s). 3. During that single session which Amazon defines as the time elapsed from the beginning of the click through to complete purchase, which can be a day sometimes, and ends with the ‘first to occur’ basis: (a.) 24 hours have elapsed since that click;(b.) someone places an order for a product other than a digital item, implying in essence particular affiliate programs are available under different Amazon trademarked licenses such as kindle or audible, software, mp3, Amazon Shorts, Video or game downloads. It also implies that the item purchased should be one of the above listed in the table, within those categories generally. 7. Considerations that affect the standard fee payment, by Amazon can consider as mentioned debt, shipping/freight for larger items, gift wrapping fees, taxes, service charges, rebates, credit card processing fees. 1. 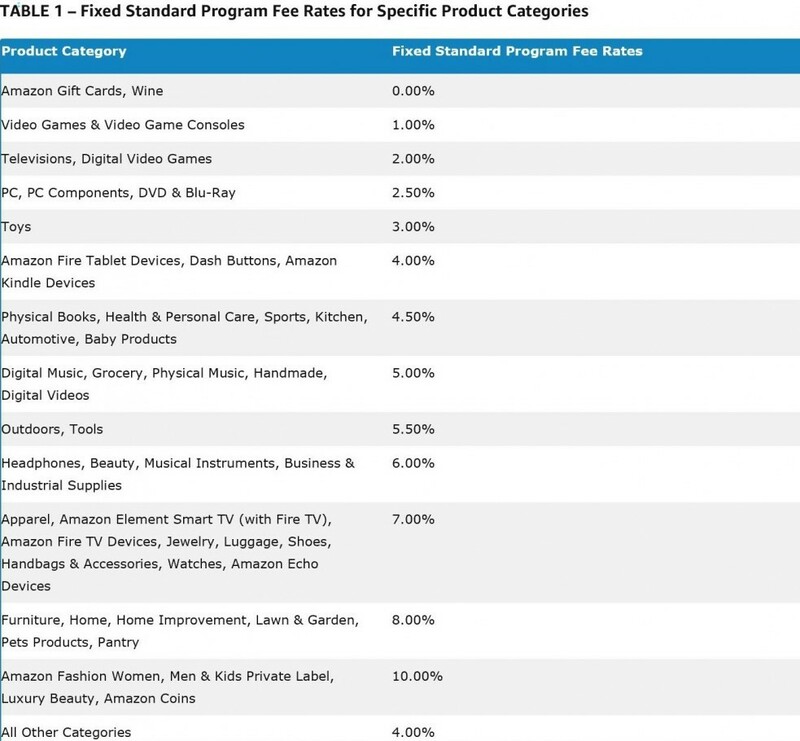 Purchases that are not in compliance to Amazon’s standard fee policy criteria. 2. Improperly formatted links on websites that do not allow Amazon to collect data, so ensure to always be on top of the website specifics and site health and diagnostics where recommended do updates and ensure you have an operating SSL certificate function. 3. The special link that is affiliated or assigned to you, must not violate terms and conditions of Amazon and ideally why would you sabotage any prospects of earning affiliate revenue anyway? You wouldn’t right. Read Below for the approval status of the amazon program, to get a clearer perspective of what is required on your end of the contract. It is a financial contract that binds you and a set term of 180 days is applicable, with prospects of renewal always unless determined otherwise. You’ll need to scroll down to see what this implies and how to always be in the loop. 4. Purchases made after the tenure of your ‘Associates Program Operating Agreement’, implying that you need to submit a ‘new’ application with the same credentials constantly after their limited 180 days tenure. You have a bit of work cut out for you and its quite a bit, so I’d Suggest for proper guidance on this matter, you refer to article 1 and create an account with Wealthy Affiliate, where you will be taught exactly the method to broach this methodically and legally. 5. Orders that get cancelled or returned or where refunds have been made. This goes a long way in ensuring your review is up to date and well researched without grandiose promises of the capability of the product or glamorizing it to the extent of customer dissatisfaction on purchasing it. Its also not in good practice with your image and brand trustworthiness and soon affects your website traffic, as your subscribers unsubscribe from your list due to heartbreaking purchases. 6. Its also classified as ‘Disqualified’ if people happen to purchase product(s) through advertisements, bidding for keywords in auctions that include variations of the spelling of Amazon or it’s associated trademarks. There are tracking tools on behalf of amazon with links to use these ‘spammy’ keywords in domain titles mostly. It becomes a ‘Prohibited Paid Search Placement’ link and website in turn, so it is in your best interest to avoid such places where you bid on these creative misspellings of ‘Amazon’ or it’s licensed trademarks even Kindle or Audible. 7. Products purchased via links that are generated or displayed on a search engine or any referral service or sites that participates in such engine’s network. That is those spammy advertisements and has nothing to do with Google AdSense. 8. Purchases made through links that send its users indirectly to the Amazon Site via an intermediate site, where customers do not click through links or take some ‘Affirmative’ action (purchasing anything) on this intermediate site link. This is now classified as a ‘Redirected or Redirecting Link’. The special code or embed link is not present on such sites and may render it a disqualified purchase for round about sales generated mechanisms or ways one might think can earn affiliate revenue with. 9. Any product classified as a part of some ‘Bounty Event’ or as part of a subscription box scheme, other than the initial purchase of the subscribed product (other types of subscriptions that is, its completely different for tangible one-off purchases but totally non-applicable to these schemes, where a specific subscription that is mentioned or that you are promoting on your website or source is the only purchase you receive a qualified fee for). 10. The biggest taboo of all is when purchases are made by a customer who is not in compliance with the terms and conditions applicable to the Amazon Site. Note to all my readers: I will be discussing most of the Affiliate Marketing Platforms in this Article and those to follow sequentially as required. Please ensure you draw your basis and guidance only after reading all my articles. As I am new myself I have undertaken the task to research this exciting journey ahead of us as much as humanely possible. Kindly add your expertise in the comments section below, as that is highly appreciated if you are higher than novice in expertise! For any given niche sector, there will be thousands if not millions of affiliated interest specific websites, and its visitors can easily access these products, if they had a smaller marketplace or list to choose from. To make the buying process safer and more understood, that’s why reviewing and referring or promoting it through affiliate links and content to supplement it, makes the purchase process seamless and trustworthy. The focus will be directed to specific products, which is the foundation of Affiliate Marketing in essence. In turn, the affiliate marketer also earns trust and reputability, as the point of transaction is diverted back to Amazon, who has the payment portals equipped to handle volume sales, without crashing of course! The other advantage of this affiliate contract is payment occurs through reputed banks and verification or safety can be guaranteed. 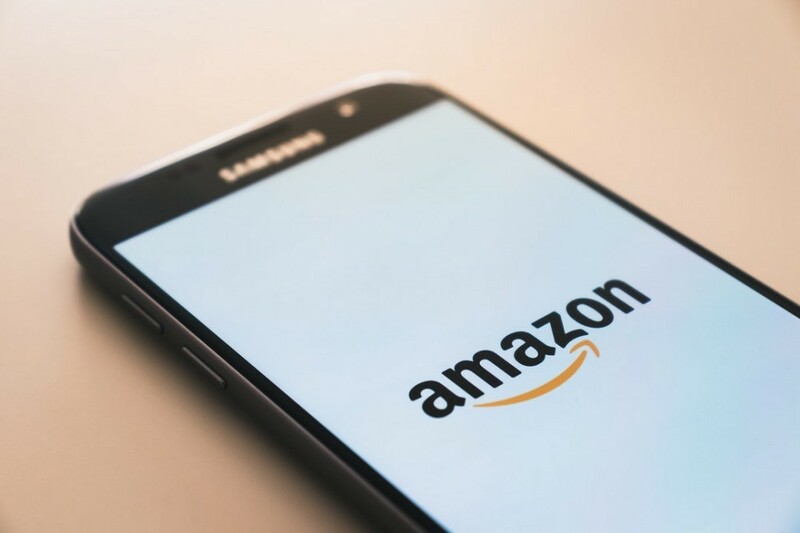 Once the transaction has been ‘successful’ or ‘approved’, Amazon passes a % of that sale, as a commission to the affiliate website, from where the sale originated. This mechanism is applicable to all Affiliate Programs as you can see from the payment schemes mentioned above. The above is to Mention what you should be prepared for ahead of signing up and entering the process, or what products the Amazon Fee structure and policy can ‘Qualify’ you to earn affiliate commission from. 2. Go to Top or bottom panel, or alternatively type in browser bar: Amazon Affiliate Program. You might have to login again as per security measures. 4. Read through and agree to Terms and conditions. 5. Another interesting opportunity is affiliating with Amazon to get Amazon more Affiliate Marketers. If you promote Amazon as an affiliate platform, you can earn a commission from referrals. That is Through referrals of your readers, to part take in this program. How do you get ‘Approved’ to enter the Amazon Affiliate Program as a Beginner? Here is a basic set of requirements that Amazon has laid out to comply with in this process, in a few easy steps. For reference I shall take my own account to describe this process. I’m in for a few surprises myself and let’s get started, shall we? How long is the waiting period to receive ‘Approval’ Notification? Ideally, most businesses respond in 5-7 business days but its not clear with Amazon and as mentioned above, has a lot to do with your site certificate and Proper URL and domain ID. That can drastically affect how any affiliate program views your website, as authentic which you want it to be, or spammy which none of us want. However, many of you will be anxious as to how to prepare ahead of time and ensure the maximum potential of your initial acceptance. After 180 days the catch is to re-apply to the Amazon Associate program, its kind of a constant process I read. So, what am I going to do in that time? This is the juicy part, the opening door of opportunities and how we prepare to make the best of this ‘waiting period. What do you do to prepare yourself ahead of time? 1. Create lists on Amazon through either your personal or business linked Amazon Account. For those of us in the United States, it somehow links you back to your personal account, owing to features of authentication that Amazon absolutely requires to accept your ‘authenticity’ of account, social security the main factor, address, phone and addition of payment methods that confirm your social security data. 2. 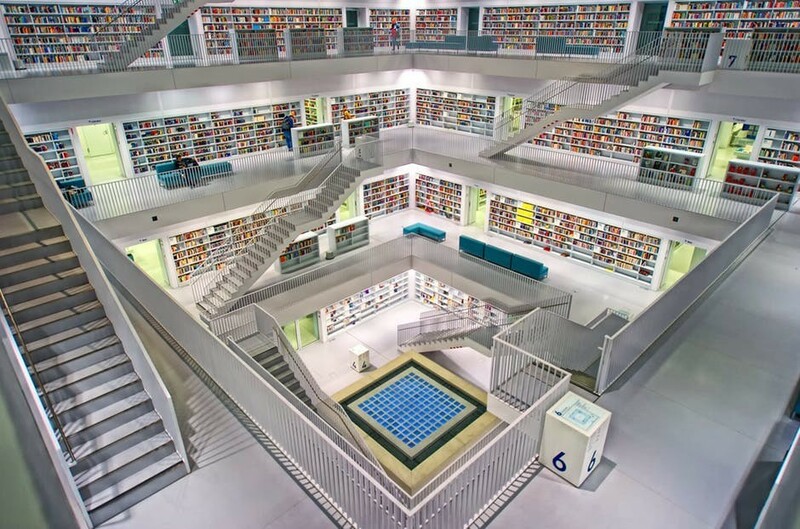 Give these ‘lists’ designations of curated collections with your keyword research. It should match your article linked keywords. You can link many articles if required to a central article, which contains a ‘set number’ not excessive affiliate links. Apparently, a penalty is assigned to those who over stuff articles with affiliate links, by Google. That doesn’t spell good luck in any way. 3. Write articles based on these products, the reviews ahead of time as you please, so that when you join, the process is to just implement it straight away. That depends on the time you have and your efficient working hours in the day. THE AMAZON AFFILIATE REVIEW SKELETON. 2. Cost and cost price range? Yes, you should specify the price range and then go on to describe the sites that offer varying price points for that exact product, however it must exemplify why anybody should purchase from your affiliated site (mention the disclaimer in your policy page if you have one or mention it at the end of your article if you don’t). In the Y axis: mention the companies that offer it and for what price. This is simply for your reference and can go according to the flow of information that suits you best, not particularly my chosen method but what suits you, because that is what is going to work for you long term. 4. Star or Overall rating: If multiple sites rate that product at different rating, you can perform an average mathematical calculation just simply by adding all those numbers in the stars. usually rated out of 5 and divide by the number of sites you visited or all sites offering the same product. You get the “average rating” of the product in question. 5. State it’s Actual or Specific Function or what it’s use is intended for. Use keywords that you used in the title of the article within the description or if applicable. Simple enlistment of it’s point is more than adequate and concise to drive home the point. 6. For the advantages and disadvantages of the product, a great option and easy to read format that looks appealing and professional is a comparison chart. Plugins such as Supuystic are free chart generating plugins with also added premium pay options. For the most part the highly coveted charts in Supuystic are FREE. 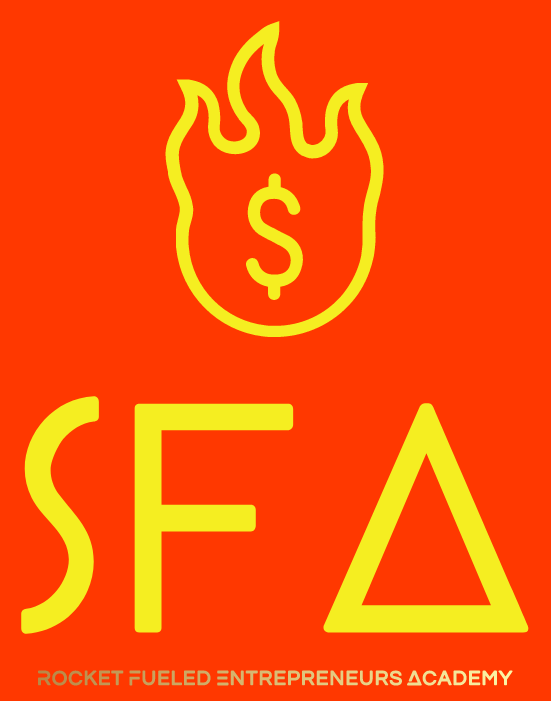 Many individuals or those who are in higher tiers in the affiliate Marketing spectra have different suggestions for plugins to generate tables or charts, however you must remember you only download plugins with great ratings and one at a time, and when you don’t need it any more, you delete it with no worry of it affecting your previous work. The reason being is it can slow down your website download and cross device compatibility speeds quite drastically, to the point you put off your readers. 8. In a tie up with point number 5 above, where I suppose you could mention this right after it’s function, would be to state who would benefit from using this point. However, it would be a clearer perspective if it had its own heading. 9. Determining it’s monetary worth: quite the tricky part, as you would need to research a little more, add specific details as to what features of that product make it worth what it’s sold for and then right below that in the subsequent paragraph(s) state your inferences and conclusions on this product. Not as easy but then not as difficult either, it’s like the conclusion to an essay. 10. Finally you are asked for your Input! This is to tie up with point number 9, but you just need to add at a maximum, three paragraphs that sum it all up for you and what your thoughts or concluding remarks are on that product. Are you ready to start this? 11. The final overview is the ending note that ties up price and monetary should you or shouldn’t you purchase this item given its features: a paragraph is all it takes or bulleted points if you wish in a table o’ comparisons. An important point is to implement ‘Internal Linking’ wherever Possible, an example of this is always relating your reviews to each of your other articles. This method is more comprehensive, especially if a lot must be said about a given product, for which a simple comparison cannot be achieved in one single article. Then, reviewing separate related products in your ‘specified’ niche is a great idea and get’s you ranked and viewed as trustworthy also. The composure style is left to your imagination but should ideally follow the above module for each item you review. Various plugins are available in most Website design and hosting platforms, mostly the widely used is WordPress. That’s exactly the reason I chose Wealthy Affiliate, because I get so much value added and Premium tier Benefits in my website appearances, theme updates, templates, site Security for over 50 plus websites, hosting, a mostly tuition-based academy and site support as the note worthy features of Wealthy Affiliate. If you are a beginner or novice, you are held by your hands every step of the way and guided in shape to meet the most technical demands and to add highly professional impact to your websites. For joining as a Member free for the first month, I will need to disclose that by Federal Trade Commission Laws in place, That I might earn commission for certain links outbound. A domain name with too many symbols and numbers can bungle up your readability and authenticity, in ways detrimental to your business prospects, so when you read topic 1 about Domain ownership, as your online real estate, do exercise patience and inspiration in your clear domain title, registration and ownership. The last thing you want to do is to sabotage yourself before you enter this exciting journey, do so with care and patience or 200% your dedicated detailed care. That’s exactly where Keyword Implementation kicks into action. Ensure you write down the tasks in previous articles and then perform Keyword Research, utilize some great Title generators. One of my favorites as recommended by online digital marketing guru, Neil Patel, is Portent title generator. Its based on a cyclic algorithm and generates sometimes a set of witty words, but you can always customize those as I have many times, to your topics and domain address URL’s. The approval also closely ties in with your Brand concept image, as outlined in article 2*, and can influence what you chose to affiliate about. Luckily, if you want a separate affiliate capable website, you can have a new blog run off your existing domain, that is a new website on an existing domain registration. That might broaden your horizons if you have other ideas in the near or distant future. 1. Acceptance and approval of online applications. 2. Generating unique sales links specific to your domain URL. 4. Reporting of the results to the Merchant and feedback to the publisher (you). 5. Payments processed and that too read for ‘desired results’ from well-advertised sales, registrations and links, ‘paying for performance’ as Amazon puts it ameliorates some risks from merchant and transfers that burden to its affiliates, and becomes incentive driven to earn commission. The safety, and payment for performance basis are safe bets for the merchants in most regards and provides a filtering basis. There will be the incidental and rare fraud or security threat, but that is the magic of it. The affiliate links back to a big company like Amazon, who are equipped to tackle these threats, such as fraud from partner sites. “Affiliate Models are an electronic commerce business model, that enables a firm to generate its revenue streams across hundreds or thousands of items in its inventory, without carrying inventories, managing orders, processing payments or handling packaging or logistics”. In this type of arrangement, a website is concentrated toward a relationship with a set and specific group of individuals, as their main strength or core competencies. Through an Affiliate Model, there is constant development and upgrades being made to content and its services, to attract and retain the patronage (continued loyalty) of it’s core competencies group. As, you can infer, that the earlier part of the Affiliate model had a resemblance to ‘Drop-Shipping,’ and the latter a merger with affiliate marketing, except with a set group of people, who it specifies are its assets or core competencies. It is a harder club to earn acceptance into and might require one to work for that company officially. That makes it the Marketing team of a given company, and today a lot of corporations practice duality of methods, to promote its products but take into consideration statistical algorithms and trend watches, to further increase revenue streams. (Marketing terms dictionaries; Entrepreneurs.com dictionary; Investopedia dictionary; Business Dictionary.com online business dictionaries which are widely reputed and ranked on Google’s first page: a pretty VIP place to be at). There is an upside, that is the simplicity of an idea, as you’ve done in your homework in previous articles, your interests and a computer, more favorably a lap top. They don’t call it the Lap top lifestyle for nothing right? As easy and laid back as it’s definition suggests, it’s a time intensive process and journey that you must ask yourself: can you devote time, any time at all to embark this journey? “Do you have established followers on social media accounts that you own (OSM, Owned Social Media) or created for your company? These are some of the fundamental questions you need to ask yourself. In my first article: Scope of Wealthy affiliate and in my ‘About Super Flamin Affilitiers.com’, I touched upon the basic definition of ‘Affiliation based earning and digital marketing’. This article and some to follow will be dedicated to it’s closer breakdown, and to simplify as far as possible, your prospects for affiliate marketing, especially easy to understand for beginners alike. It seems easy at first and then when you navigate deeper, you come to a startling realization that there is more that meets the eye, than just grazing past sites or platforms, that promise you instant gratification with a sign up. The most important consideration that you need to evaluate is: how evolved do you consider your websites and layouts to be? How optimized are your websites? Optimized formats are those that are cross device accessible and friendly, such as on mobile phones, tablets, iPad, laptops or Desktops. The layout of websites used for affiliate marketing should have great Site Speed (with a reputed SSL certificate) and be identical in layout with your logo in the correct position/ area of your website banners and footers always. The resolution of text and images should be of high quality and where possible image size needs to be compressed, so larger file sizes do not slow down your website speed. The questionability of pop up landing pages is a contentious topic, and have either mixed acceptance and practice by many entrepreneurs out there currently. There will always be various schools of teaching for creating pop up subscriber pages, or landing pages and funnels, however, you need to test these hypotheses out and know what vibes with you or your audience most importantly! Fear not! 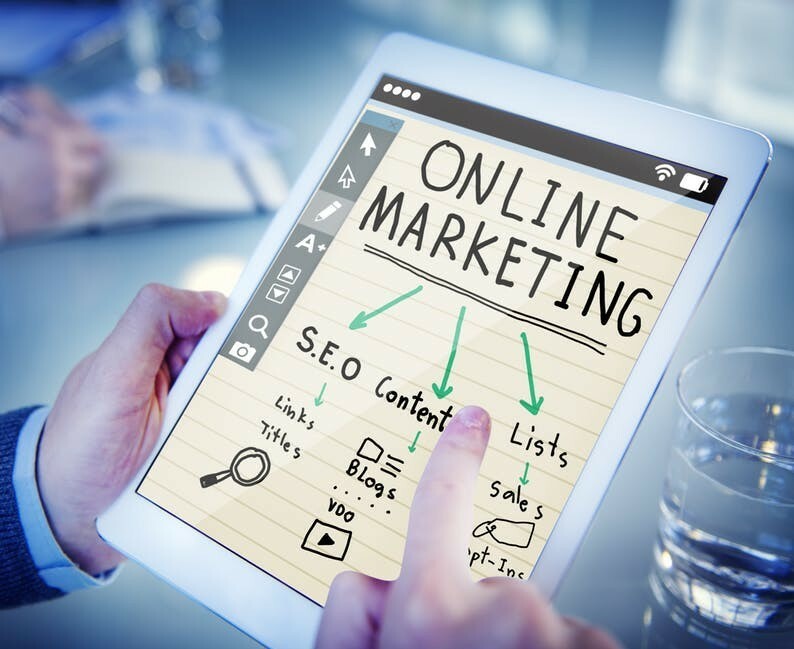 In most cases, even non-website avenues are considered for affiliate marketing, but certain companies have their own policies regarding how we may qualify, without website or domain ownership. In most cases, sufficiently promoting their products will earn you consideration and approval, such as with Amazon Affiliate Association (AAA) not the insurance company! Obviously, my aim is to make it that much easier for the both of us to follow and comprehend its steps and conditions, therefore it’s worth noting, there are gaping differences in each company that has to offer affiliate opportunities to us. Let’s take a microscopic glance at each, and then decide what formula best suits our individual niches and scenarios? Affiliate websites: how should it look like? Affiliate Websites are no different from those you set up for blog or journaling topics or for authoring in certain niches. In Fact, the two are synonymous at times, as the measurement indices and parameters are applicable to both approaches to website set up and hosting. 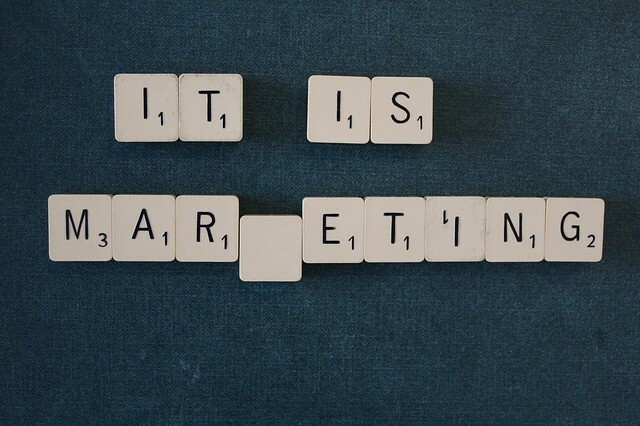 Often “Content Marketing “is associated in context with Affiliate Marketing. The Basic steps that you should be good following, a summary of my previous article would be to follow the basic steps below: You’re good to go honestly! 1. Have a Niche or target reader audience to whom the site or its contents/products appeal to. 2. Make use of Keyword techniques and tools: A Free method is Alphabet soup and going to discussion forums such as Quora or Discquss to get some ideas. For me, Quora has been a wonderful platform as it follows google algorithmic formulae. The system closely mimics a trending tool or a content generator itself. This is apart from GOOGLE search console for ‘trend watches’. 3. 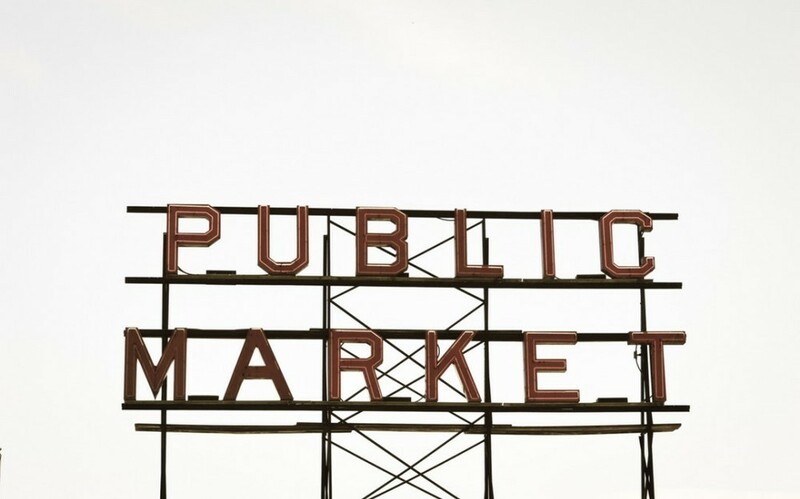 Concepts of Keywords are ever so important, more so with affiliate sites than ever before. 4. Search Engine Optimized format of websites (which will be discussed in detail below) are integral to your acceptance into affiliate programs and are an indicator of your non-content related practices to boost traffic and online visibility of your work/content/products/books/ banners/ advertisements etc. 5. (Ideas=Keywords+ Creativity in mode of content relay= Stellar Content to Google Algorithms). Remember the reason certain words were termed as ‘Keywords’. To make it more simplified in context of Google ranking and relevance, keywords are the common jargon and words that accompany or specify a question/query or for which a resolution needs to be sought. That is why it is widely advocated to attend to your audiences’ most pressing requests. 6. Write content also to support any form of content you created around your keywords. What is meant by this? Videos, self-created flowcharts, statistical methods of conveying numerical data, tables and basically graphically expressing what you write/wrote, will earn you reputability. That should be our focus now: creating a Brand reputation not just entering the race tracks. As with anything worth its weight in gold, you must prepare yourself to receive or reap benefits. 7. Next step: creating exciting ways to publish your content and linking to your Affiliate program: custom links provided. This by far is the most basic process to affiliate content creation. It has its own diverse set of instructions within to get your channels ‘verified’ and optimized for affiliate marketing. 8. A self-hosted and owned domain lends a professional credibility, but then it’s amplified if you work social media promotion in read: social media platforms that you are comfortable and know well about. 9. The only point it diverges is where a publisher(you)’ promote creatively’ a merchant’s product as opposed to a conventional article for information, although both are interchangeable practices and goals. That is, if you strive to create an article for value to your readers, you can always engineer in a review that sky rockets your article for affiliate purposes with higher google ranking and of premium quality. Affiliate Marketing without a Website Ownership and Domain URL, starting from the base up: When You don’t own A website yet, are serious about it but Need to get shuttling off into outer space! Pinterest: links, products and videos through Pinterest. click it- shows you detail-edit-now the difference lies in what pins you create or if you pinned from someone else’s pin. How would we optimize this for affiliate ship? Perfect highly visual and easy to add reviews and videos. Go to source to edit. 1. Pinned by self: for self-created pins you would see an URL link to your own website. Then you would replace that URL with your affiliate link. Generates tons of social media traffic. Get Pinterest save button on google chrome store. picture save button. Pinterest save button. Save and copy and follow directions. When you hover or navigate to pictures, you can save that image and modify with your affiliate link. This is particularly a great tool for actual products in catalogues. Lead pages- lead capture funnels- landing page creators for those with a website. Or lead pages sub directed hosting on their own pages instead of having own domain. LEAD PAGES: lead funnels and lead capture funnels through collecting emails from people. Other information can also be collected but primarily it is an email-based system where your sub-host on their system/ servers, instead of owning or hosting your domains and websites upon your bought/ purchased and registered domains. See Lead Pages.com: Get response.com, Mail chimp, Infusionsoft are some examples of well used email marking strategies for using lead pages. What about Google Ranking without a website and sub hosting of a storefront or landing page for affiliate marketing? Future trends for digital marketing are leaning more into the micro blogging sphere, where one may just as well market products and create monetized links, without the need for a website (although a merger of two techniques is highly recommended). How do you get away without a website and monetize your affiliate links? Social media has the answer for this and a few webtools such as Moon fruit.com, Site Rubix.com come with customized free to use templates to create micro posts and link a product to earn affiliate revenue from. Microblogging relies primarily on instant or live feeds, more like an interactive conversation with your readers with the possibility of adding the affiliate links. It is always more trustworthy to rely on free websites to initiate your entrée to affiliate marketing than to not have any website at all. For one, companies who do offer affiliate-ship, will take you more seriously than if you had no website at all. Your next query will be that products and add ons are being pushed onto you, and finances just won’t allow you right now. That’s exactly another reason to trial a free website before you concluded it cannot be ranked by a search engine. You don’t necessarily have to oblige to these pushy strategies if your budget doesn’t permit. That’s exactly the reason you need to thoroughly do research on your hosting company and not tie yourself into an annual contract, unless you gain benefit from it. Routinely asking yourself that question will save you money, in some cases it will be free. If finances are really strapped, you can always consider the following alternatives and still accrue earnings from affiliate-ship sites that let you earn. The process is the same, the only point of difference is where these links are seen or heard. Taboola.com and Moon Fruit.com: The immediate storefront without the need to own your domain at present. However, if you do feel sales are taking off and there is some growth and traffic indicated by google analytics tools and or other used to. It would be ‘professional’ enabling higher staying power of your audience on your own websites, by more appealing website design. This is possible with self-hosted and owned Domains with websites hosted on these domains. As with free or self-owned domains, the important criteria are following ‘best SEO practices’. In my experience and having read through many channels, I have come to the vital understanding that Google is the priority search engine globally, after this comes Bing, yahoo or Mozilla Firefox. Google owns many suits where its conducive to share affiliate links and your most recent posts, otherwise comprising a process of RSS feeding the online world with your content. In overview content marketing, gaining traffic, relevance, addition of search parameters and adding tags (meta tags to URL’s) comprise a more specific Search Engine Optimized marketing of your website or online visibility. What are the most important considerations in Affiliate Digital Marketing Currently? The primary factor to assess, is commission rate or %return for each company and whether our websites or specific non-website platforms, qualify for affiliate channels. 1. Niche market and Brand concept: who are you targeting when you affiliate certain brands or products? Have you identified your audience and brand concept? 2. How useful can you envision these products to be when they tie back to your brand concepts and or Blogs? 3. Do you have established traffic on existing social media? Or are you relatively new? 4. If you are new, then have you sufficiently ‘Developed’ your website and is it mobile friendly? Is your website optimized for mobile devices? You must know by now how heavily we rely on phones for a lot of our online purchases, and therefore it’s that imperative to have a website that has great or optimized speed and features on mobile device as much as it’s desktop versions. This relies on your templates and your website hosting services or ad-ons. 5. The next important question, it’s the first in your mind, the commission return rate for the services you provide in return, that is linking or referral or placing banners in widgets or within fields of your websites. That is a feature most taken advantage of in the ‘Appearance’ column of your settings (Website Platform-Hosting platform specific layouts). 6. Legal and Policy considerations are vital before you embark on this journey and although is really a critical topic, I have reserved it toward the end of the topic to shed some basic legal sense, so we don’t sap our mojo reading it with our excitement bubbling over. 7. How many domains or websites are your considering, to place in affiliate marketing platforms? 8. How can you use existing tools within your affiliate programs to better serve your affiliations and vice versa? It’s a win-win for both yourselves and the companies you derive commission from. This is represented as the affiliate Click through rate and how many conversions can you facilitate. That ties to the appeal of your written content and how marketable your words are? That’s why the subsequent article is dedicated to the magic of words: Content marketing. 9. Search Engine Optimized websites and inclusion subtly of keywords. Whilst writing or promoting a product it’s still best to limit the key words to either the title, first paragraph or subtly rephrase it but still make it apparent in content you write. That’s an art that’s quite delicate in nature. 10. 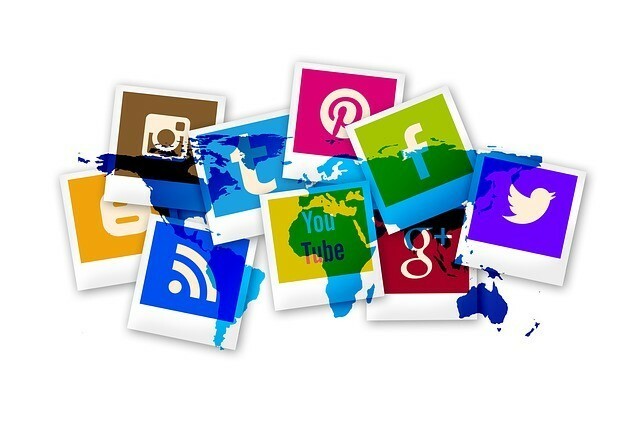 Social media promotion of the product through all social media platforms possible: owned (OSM) social Media should work for you= for Brand Reputability, Earned Social Media (ESM) being the favorable outcome for your business. 11. You can apply to All platforms of Affiliate marketing and its purely action taken that speaks volumes here. You can read and be most careful alongside the action, taking guidance from excellent platforms like Wealthy Affiliate, so that you can be certain all your moves are well thought out and ensure great results for you! 12. You must realize a deeper interest in writing and devoting time to this cause, because that is the premise of Affiliate marketing, even if you have a concise way of expressing it, organization of that information as per the template included above, earlier on will be a great starting point for most affiliate Marketing beginners. 13. Always Internally link your articles and make them applicable, where necessary supplement your reviews with actual videos, yours or from you tube. The finesse of this is better advised through Wealthy Affiliate. 14. Ensure your voice is always yours and highly personable because being you has its sure-fire rewards! In the subsequent article I will discuss Affiliate Strategies with Amazon such as customizing links and making them geographically suitable, not to mention Affiliate relationship with Vig Link. 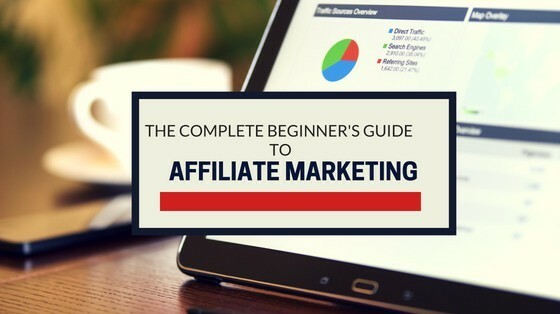 I ve just finished to read your article about affiliate marketing and I can say that is a very long and detailed info about it , I m new in this industry and I learned some new informations from your post ! I will be adding to this site regularly, and the affiliate marketing world requires us to keep editing and updating its so dynamic but the foundations are basically finding the most creative outlet of conveying a product. The creativity is your personal choice I have come to learn. Im adding a video to this also for all of us to keep refreshing our memories, including myself. Im new too Stefan and probably you might have realized by the constant reference I make to this relatively fresh experience as yours, me too. Comprehensive article I must say. You served a wealth of information regarding affiliate marketing and your article is worth of reference. Keep up the good job and you will become an authority in your niche in no time. Thankyou Ivan I’m very honored and I will keep at it also thanking you for the inspiration and feedback. your logo is too big and kindly change your font style, it wasn’t easy to read all of your content. Thankyou I really appreciate the feedback I think you are definitely spot on right about both the aspects.